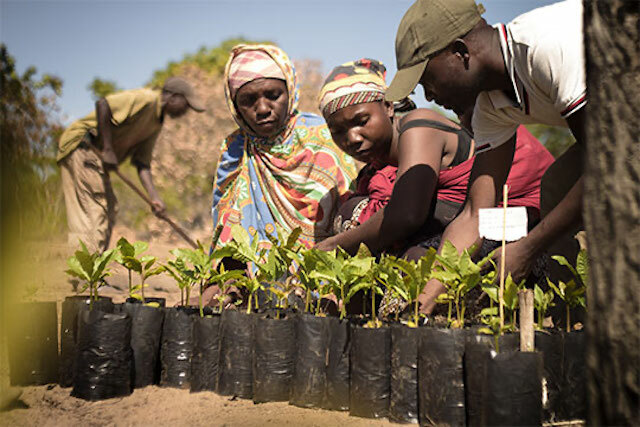 In only four years, Mozambique cashew farmers have planted more than 500,000 cashew seedlings, while burgeoning processing plants across the country work to connect these booming yields with premium markets. MozaCajú has helped to catalyze the Mozambican cashew nut industry by harnessing global market demand for premium cashew and addressing obstacles throughout the value chain, such as production and processing. Mozambique is a beautiful country with extensive coasts along the Indian Ocean, lowlands that grow into highlands, and the impressive Eastern Great Rift Valley. Surrounded by such a dramatic landscape, you could be forgiven for not noticing the even more dynamic changes that Mozambique’s landscapes and livelihoods have experienced in recent years. 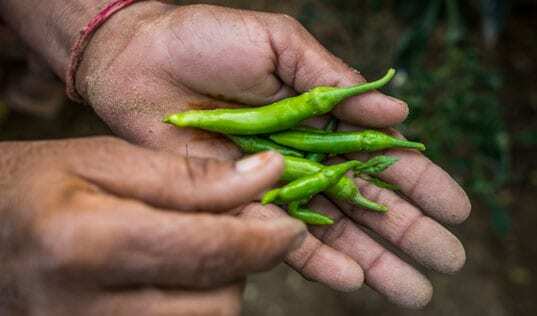 In only four years, an additional 542,807 cashew tree seedlings have been planted, and more than 80,000 hectares of farmland are newly brimming with cashew trees and red-gold cashew apples. Zooming in from the landscape to the household, the change is even more dramatic. Through the work of the MozaCajú project, which launched in 2014 and closes early this year, more than 23,000 farmers have been trained in the skills and practices they need to build more prosperous livelihoods from their cashew farms. 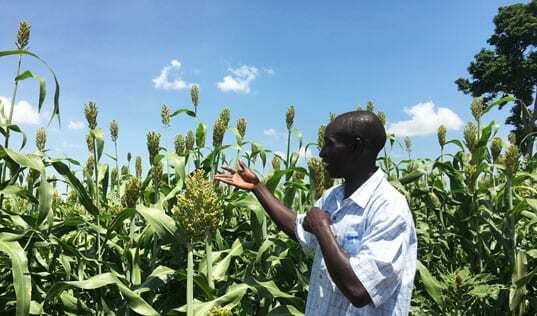 In fact, the program, a collaboration between TechnoServe and the U.S. Department of Agriculture, has helped their yields to increase by an average of 53 percent, and their incomes by 66 percent. 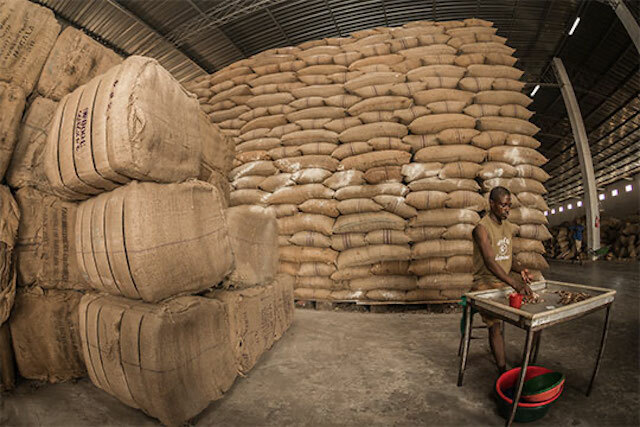 One key component to this vast change within the Mozambican cashew nut industry is taking place off the farm, in only a few buildings across the country: processing factories. By 2008, Mozambique had advanced from processing zero cashew nut to becoming the largest processor in Africa. 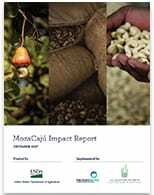 Read MozaCajú's complete Impact Report to see how it transformed livelihoods throughout Mozambique's cashew value chain. Once the world’s leading producer of cashew nut, Mozambique’s production sharply decreased as civil war, aging trees, and market obstacles inhibited growth. Raw nuts were exported to India and other nations for processing, taking much of the products’ added value potential with them. In 2002, TechnoServe began working within the country’s cashew industry, aiming to capture more of its value locally. By 2008, Mozambique had advanced from processing zero cashew nut to processing almost half of its production, making it one of the largest processors in Africa (and the fourth-largest processor in the world). When MozaCajú – “The Mozambican Cashew Project” – was launched, its aim was to accelerate this growth and impact by harnessing global market demand for premium cashew while addressing obstacles throughout the value chain such as production, inputs, processing, finance, and marketing. While the project catalyzed impressive change at all levels of the value chain, processors were identified as a particularly crucial link. Without quality processing, even the increased yields wouldn’t help farmers tap into the market demand for high-quality cashew. Over four years, however, processors like Condor Nuts worked tirelessly alongside MozaCajú staff to transform their operations and make market connections with leading buyers such as Caro Nut, a buyer for Costco. MozaCajú helped Condor to track the movements of product and personnel at every stage of production, an important part of safety, quality, and transparency. Many of the major transformations that Condor Nuts underwent through the program were realized through upgrades to its operations as the company improved its food safety management in an effort to become HACCP certified. This certification ensures buyers that appropriate controls are in place to decrease hazards and increase safety and quality throughout every step of production. Working with a food safety company, TechnoServe staff developed training guides and manuals for updating participating plants’ operations in order to replace low-efficiency, retroactive quality controls with processes that proactively identify and avoid food safety hazards. Once Condor’s management was on board with the new procedures, MozaCajú technicians held training sessions with workers over several months, helping them to understand the risks of production as well as their roles in managing them. They even helped Condor to draft tailored registration sheets to track the movement of people and products within the factory (a crucial step towards traceability within the plant’s production), and to ensure the maintenance of their new policies. With the new system in place, MozaCaju staff took a step back and let Condor take charge, only performing routine monitoring visits to ensure top-quality compliance. After their participation in the project, Condor became HACCP certified, paving the way to connections with new, more demanding buyers for their nuts. 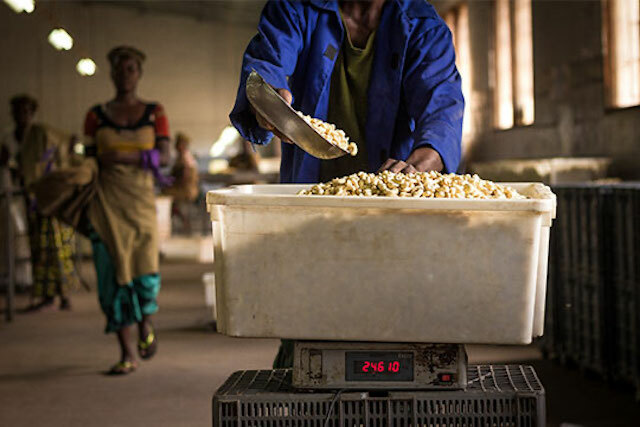 Market connections facilitated by MozaCajú have resulted in over 1,000 additional tons of cashew kernel sales for participating Mozambican processors. While some international buyers had previously sourced cashew from Mozambique, they had ultimately switched to other suppliers due to quality control issues. Having worked with processors like Condor to improve their quality standards, MozaCajú aimed to reforge these market linkages in an effort to create a broad market system in which Mozambique’s farmers and processors could thrive. 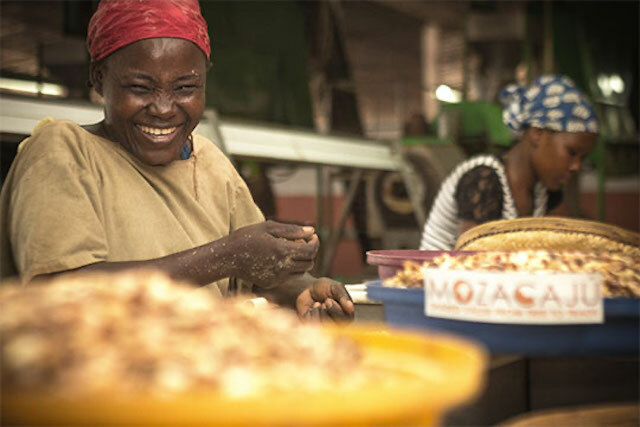 In 2015, MozaCajú contacted Caro Nut – a nut roaster and wholesaler that supplies cashew products to the major U.S. retailer Costco – and invited them to Mozambique to learn more about the Mozambican cashew industry. During their visit, MozaCajú introduced Caro Nut to several Mozambican processors, and in 2016, Caro Nut placed its first order of cashew kernel from Condor. MozaCajú helped to ensure the quality of these initial orders by checking on the containers – looking for variances between grades and conducting random nut counts – before they were shipped to Caro Nut’s roasting facility in Fresno, California. Since then, Caro Nut has ordered several containers of cashew per year from Condor and other other Mozambican processors, which now contribute to nearly half of Caro Nut’s total cashew sourced from Africa. In total, market connections facilitated by MozaCajú have resulted in over 1,000 additional tons of cashew kernel sales for participating Mozambican processors. Once businesses like Condor are operating within stable processes and markets, they begin to have room to innovate and grow. In 2015, MozaCaju launched its matching grant fund, which provided funding for a variety of actors in the cashew supply chain, from processors, to farmers, to agro-dealers. The inspiration behind the grant was to give these enterprises access to equipment or technologies that would have otherwise been unavailable due to high cost or risk. 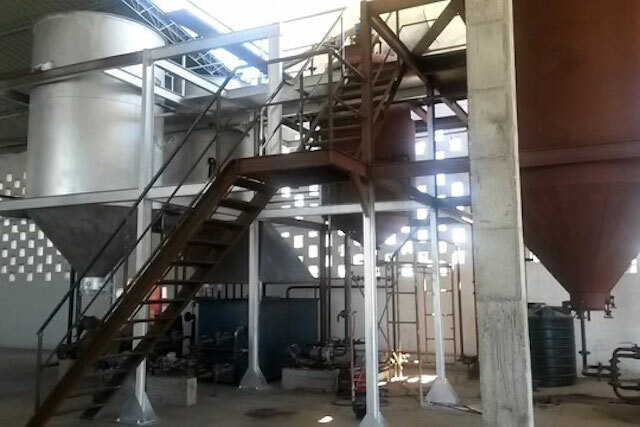 Condor applied for the grant to purchase a Cashew Nut Shell Liquid extraction machine. Cashew shells are typically discarded or burned as an inefficient fuel after being removed during processing. However, the shell contains two useful byproducts – one is the extracted liquid, and the other the dried husk that remains. 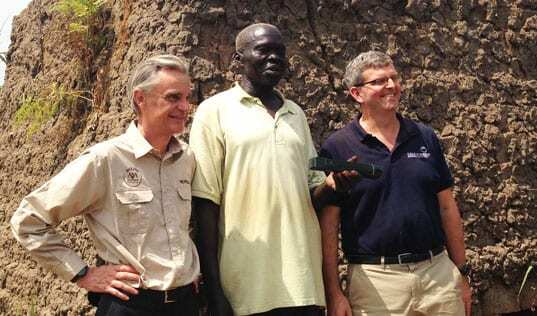 Thanks to the grant, Condor was able to buy the first such extractor in Mozambique. They are already turning a profit from sale of the extracted liquid – which can be utilized in various industrial processes – and the dry shell can be burned as a cleaner, more efficient fuel. Condor is even piloting the sale of cooking stoves that are fueled by these “cashew shell cakes,” which they are providing to their employees on credit. Overall, MozaCaju awarded 13 grants to 11 grantees, leveraging over $1 million in investments along the value chain. Read more about how MozaCaju has worked to increase women’s participation in the cashew cashew value chain, increase farmers’ profits through collective sales, and boost yields across the country’s farms.